Newcastle In For Captain Of French Champions? It is reported that Newcastle United had Montpelier captain Yanga-Mbiwa watched at the weekend, early this month the player declared an interest in coming to Tyneside and claimed that Newcastle had also made clear they were interested. We previously covered this story on 8th August (see extracts below) and the quotes came from an interview the defender gave to an Italian media organisation, leading to the heavy AC Milan slant – now the Daily Mail amongst others have reported Newcastle watching him play for Montpelier a couple of days ago. The player has still not signed a new contract so has only a year to go, this would represent a major capture who wouldn’t come cheap, though predictably other clubs are also having their name thrown into the hat. I’d be very disappointed if we didn’t get another centre-back through the door, especially when Alan Pardew stated firmly at the very start of the transfer window that he was going to bring in a dominant centre-back. The only sure thing is we face four more days of intense transfer speculation, just hope Newcastle United come through it in a stronger position. 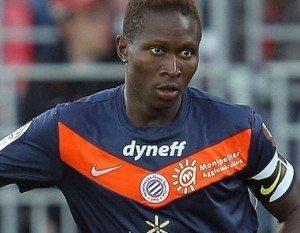 ‘At the age of only 23, Yanga-Mbiwa is captain of the newly crowned French champions, Montpellier and if Newcastle were to capture him then it would represent a big step forward on the transfer front. With only a year left on his contract there could be some wriggle room when it comes to any transfer fee.